A pack of silicon heel cushions in large size. 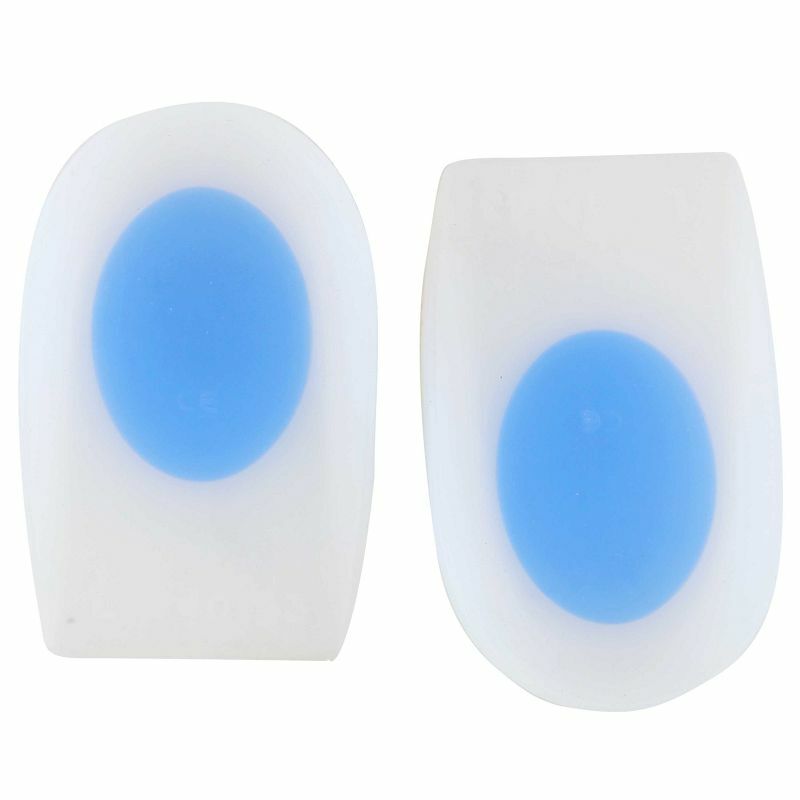 These heel cushions come with a soft blue anti-shock zone that relieves stress and provides cushioning. They also help to maintain the spine and lower extremity in proper alignment preventing heel, knee and back pain. 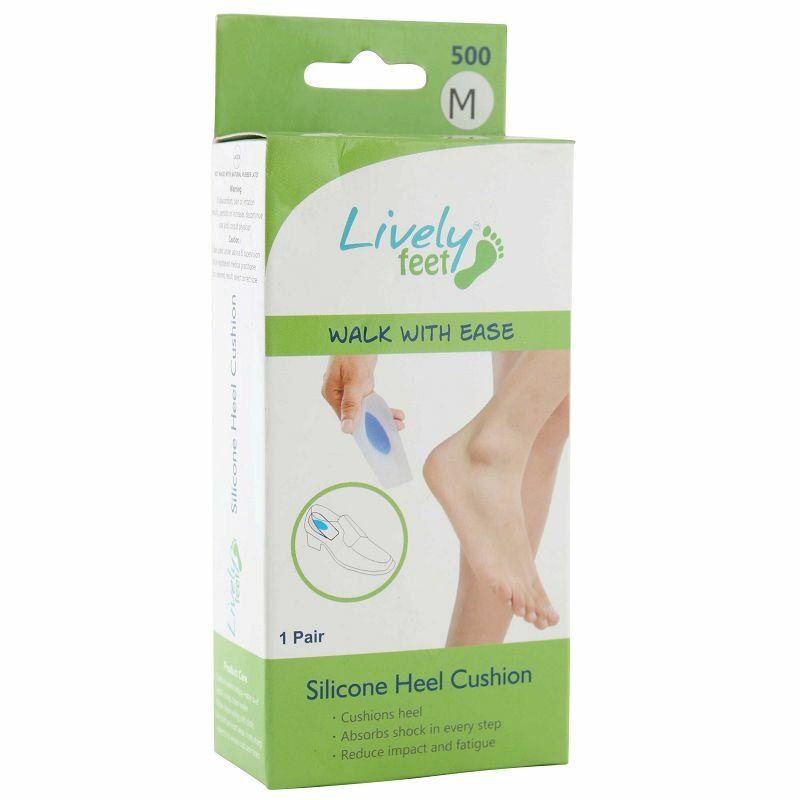 -Place the heel cushion on top of the insole of your footwear.